International trade creates wealth and opportunities around the world. But the richest countries must take care to foster, not weaken the poorest, writes Anabel Gonzalez. 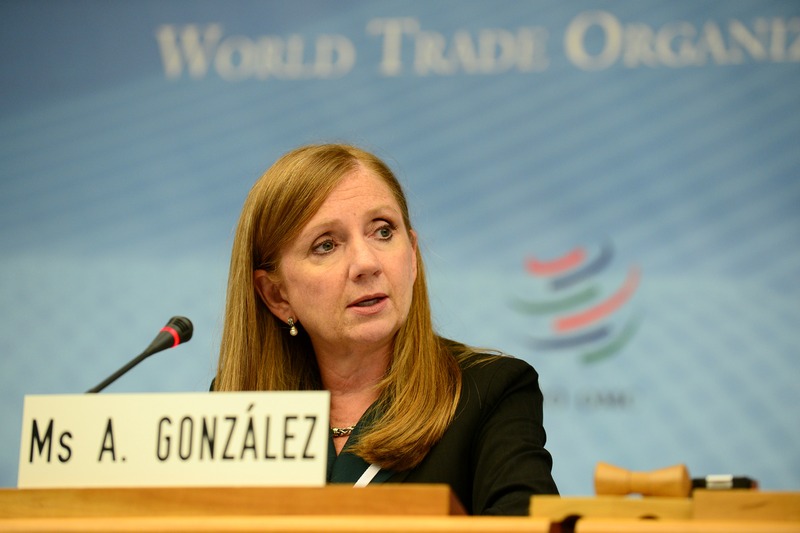 Anabel Gonzalez is the World Bank Group’s Senior Director for Trade and Competitiveness and the former Trade Minister of Costa Rica. Just months into 2015, the world is poised to reset the stage of international trade. A new negotiating agenda is gaining momentum. Leaders are striking up important conversations about trade openness and making progress in mega-regional trade deals. This is good news. But if 2015 is the year of action in trade, let’s make sure all are included. The past 20 years has seen spectacular growth in world trade – new countries have joined the global marketplace, creating opportunities in places that otherwise might still be mired in poverty. The World Trade Organization (WTO) has helped to drive growth and poverty reduction in ways that would have been hard to imagine at its founding 20 years ago. Yet today, world trade is fragile. Before the 2007-08 crisis, trade was growing at almost twice the level of real global GDP growth. Today, trade growth lags behind global GDP growth, hovering at 3 percent or below. The causes for this are complex. They go beyond the slowdown in global growth and are related to more fundamental, long-term changes. Trade growth increased in the 80s and 90s as tariffs were lowered and production fragmented into global supply chains. It decreased in the 2000s as the pace of this process slowed. But 2015 could be a turning point. Disappointment at the slowing engine of trade may provide fertile ground for policy action. Indeed, there are signs of new energy already. For one, there is the WTO Bali agreement, the most significant since the WTO was established 20 years ago and a strong endorsement of multilateralism. The cornerstone of this achievement – the Trade Facilitation Agreement – promises to reduce trade costs in countries around the world. It is also a call for international assistance to developing countries, a rallying cry to help the world’s poorest governments remove trade barriers, integrate into global value chains, and upgrade the value they bring to the global market. There have also been significant signals recently that the United States, the world’s biggest economy, stands behind global trade. One such is the discussion around the Trade Promotion Authority (TPA), which would speed the country’s ability to approve trade deals. Yet another sign is the growing energy around the Trans-Pacific Partnership (TPP), a landmark preferential trade agreement. The TPP would define trade rules for an area covering 40 percent of global output and set a new standard. Countries negotiating other preferential trade agreements would likely attempt to match the quality and depth of integration codified in the TPP. This dynamic would give new momentum to discussions between the US and European Union on the Transatlantic Trade and Investment Partnership (TTIP), and negotiations on the Regional Comprehensive Economic Partnership (RCEP), a trade agreement involving 16 countries in the Asia-Pacific, including China. In this new context, the international community must ensure the preservation of an inclusive system that gives voice to poor countries and maximises their gains from trade. Three priorities would help make this happen: First, we need to bolster the strength of the WTO, where low-income countries are guaranteed a voice. The best guarantee of an inclusive trade system is progress in multilateral trade negotiations. This means taking concrete steps toward closing the Doha Round: the G20 Trade Ministers meeting next October will be an important milestone, as will the December Nairobi Ministerial Conference of the WTO. Second, preferential trade agreements should be as open as possible, maximising gains for outsiders and minimising discrimination against them. Some changes through the mega-regionals will benefit all – improving transparency, streamlining regulation and opening the services sector, for example. But to maximise the long-term gains, membership should ultimately be available to all countries willing to meet the standards. International organisations should collect and analyse information on the terms of these deals. We must help countries identify policies that have harmful side-effects for countries not party to them, or policies that reduce the efficiency of the global trading system. Finally, we should continue to provide development assistance. To build a strong and inclusive multilateral trading system, we must help poor countries meet the standards set in mega-regional deals. These agreements must provide an opportunity for faster, deeper international integration, while still preserving a sense of unity in the broader trade regime. None of this will fall into place automatically. Leadership from key players is essential to make it happen. The World Bank Group is ready to play its part. But, how many ‘savvy’ Europens (Canadians) & their global corporate associates are ‘poised’ to make windfall profits from their international cross investments & preplanned treaty ‘arrangements’ at the direct expense of the harmless non shareholders, ie. 95% – 99% of Europe (Canada), et al? While the good sales folks of Wall St. may prefer to tell their ‘Enron-able’ customers who were also the victims of ‘The Preliminary Foray of The Wall St. Meltdown’, et al, that it’s just some Unions that are fighting back, how much of the Fighting Back of Unions against the Secret, Unethical & Anti-Democratic Arrangements of The Global Treaties’ ‘Death-Star-Chamber’ Tribunals, can be understood in the context of the harmless NON Shareholders, including Union members, fighting to Survive (not ‘thrive’) Against the Uncaring, ‘Profits at Any (body else’s) Costs’, SHAREHOLDERS & their Colluding, Global Corporate Leaders? Global Corporate Economy Conniving to Get Harmless NON Shareholders to Pay Trillion$ in Court Costs, Punitive ‘Penalties’, etc.? No Treaties = Corporations/SHAREHOLDERS pay for Their Own ‘Mistakes’. How Many Preferred Shares of TPP, C-CIT, TTIP, CETA, et al, Generated Enterprises are You Selling your Right to Sue the Global Corporate Economy for? ‘New’ Shareholders Can Say ‘NO’ to & Over-Rule TPP, CETA, TTIP, et al, Plans? Will corp.’USA’ et al, & Feds to Prepay $Billions for All ‘Trade’ Treaty/’Arrangements’, et al, Secret (‘Death-Star-Chamber) Tribunals’ Punitive Damages to Protect Home State’s Taxpayers? Other States, Municipalities, et al, “…(we) need to control corp. USAs ‘Contributions’ “. But, If Not PUTIN; ‘The WHITE KNIGHT’, then Who Do YOU Want to Bankroll the Saving of the harmless NON shareholders of the World from Fast Tracking TPP’s, CETA’s (TTIP) Secret ‘Death-Star-Chamber’ Tribunal Penalties? Will China, Iran, the Muslim World, et al, Support Putin in Suits? How about Warren Buffett, &/or, the ‘coveted’ Hong Kong investor, et al? who are quite interested to know if President Xi Jinping (China) will support Russia as a co-member of B.R.I.C.S. when President Putin uses his potential role as “The White Knight”. the harmless Canadian NON shareholders, both; Native & non Native, et al”? 2) “The MERKEL (Chanc. Germ.) Letter; To Sue, or, Be Sued”? Have the federal representatives of the nations that are the potential signatories of CETA, TPP, et al, willingly provided the NON shareholders of China, Canada, Europe, the Trans Pacific nations, et al, with the aforementioned information? Are the federal representatives, et al, depriving the NON shareholders of Canada, et al, of the due diligence information that enables the family of the NON shareholders of Canada, et al, to make informed decisions regarding their financial planning? 3) use to do their cyber banking, accounting, “taxation”, etc. And, re; the CHINA – Canada Investment Treaty, is it understandable why the “coveted” Hong Kong investor & his associates are “concerned” with the aforementioned findings of The SUPREME COURT of CANADA, et al, & the effects of the findings, et al, on the EU, AMERICA, the Trans Pacific nations, et al, treaties with CHINA, et al? In regard to arms sales; how about the sale of arms (non nuclear) in general in regard to the “trade” treaties that are continuing to be secretly negotiated and how will the Tribunals, both; B.R.I.C.S. & non BRICS, adjudicate, decide & penalize the NON SHAREHOLDERS for the sale of legitimate, semi- legitimate & “illegal” sales of arms within the signatories nations & the those of others, &/or, unaligned? Of particular, interest is China, which does have an treaty with Canada, which puts China “at odds” with other arms manufacturing & nuclear powers that it (China) does not have any “arrangements” with. Are these types of questions that your politicians & the corporate lobbyists calls “forget-me-nots” (“Buyer Beware”) that will be (maybe) worked out after the fast tracked signatures are obtained? And, what do you think is the significance of the line in The Submission to The Supreme Court of Canada ‘…And, lest one forgets that the revelation of the present perilous international treaties/’arrangements’ began with the regard for the rights of Native Canadians as per the Treaties/”arrangements” that corporate Canada & the Government of Canada have ‘foisted’ upon Native Canadians…’? What are the various ways that this line will cost the SHAREHOLDERS, et al? ‘What the TREATY of VERSAILLES was to the 20th century PALES in COMPARISON to the TPP, CETA, C-CIT, NAFTA, et al, in the 21st’. And, how will YOUR submission to YOUR highest court IMPROVE upon The Submission that is presently before The Supreme Court of Canada?